Kits, Fat Quarters, PreCuts > Bench Pillow - 16" x 38"
Bench Pillow - 16" x 38"
Bench Pillow Crafters Choice - 16" x 38" rectangular pillow form provides lumbar support for bench seats, porch swings,love seats and more. Non-woven cover with finished knife edges. 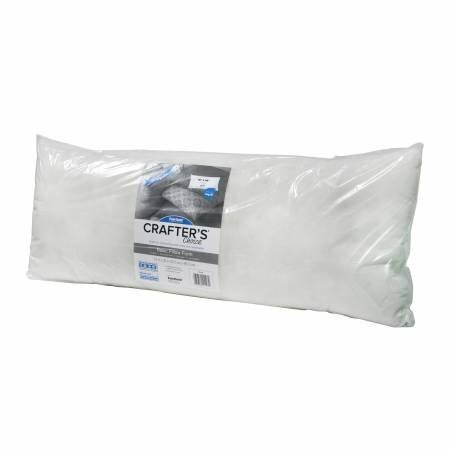 Crafter's Choice inserts are quality pillow forms that are soft, supportive and economically priced. They work well for craft projects and needlepoint or knit pillows as they have a medium firmness and a flatter appearance. 100% polypropylene cover and 100% polyester fiberfill interior. Medium firmness and a flatter appearance.